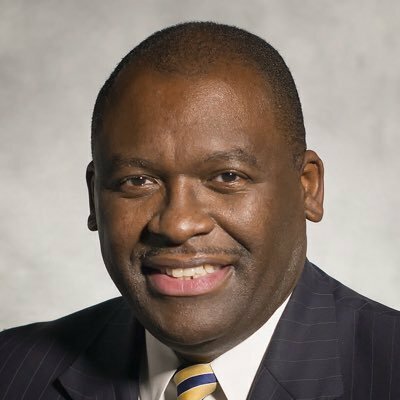 Trevor Fuller is a Democrat on the Mecklenburg County Commission in his fourth term, and a wild card. The Charlotte Observer this morning called him Sen. Thom Tillis's first "serious" opponent. Also "somewhat unlikely" because he's "only moderately popular in Mecklenburg." Not at all popular, possibly, with fellow Meck commissioner and fellow Democrat Pat Cotham. Fuller helped engineer her removal as chair of the board of commissioners back in 2013. Trevor Fuller took her place as chair and lasted until 2016, when Pat Cotham engineered Fuller's removal. ("Turnabouts are fair" was the playground rule I grew up with too.) Fuller has continued as an elected at-large commissioner but not as chair of the board. Fuller's supplanting of Cotham in 2013 largely happened as fallout from Cotham's firing of then county manager, Harry Jones. Cotham, for her part, never backed down. So her revenge against Fuller in his 2016 ouster as commission board chair might have felt like vindication. Fuller called it "treachery." Fuller has two Twitter accounts. One hasn't been posted to since 2016, and the other's posts stop in May of 2018. His Facebook page is a little more up to date. He last posted there on November 7th, 2018, following his reelection to the Mecklenburg Commission for his fourth term. Getting a fix on his record, his issues, his guiding light is not easy, though the Charlotte Observer said this morning that "he would check a few important boxes for statewide voters, including a strong record on progressive issues, such as being the driving force behind Mecklenburg’s universal pre-K initiative." Perhaps Fuller's announcement will spur some stronger candidates to get off the couch.